Scaly-breasted Lorikeets are related to the Rainbow Lorikeet, but are much less brightly-patterened and a bit shorter (around 24 cm for Scaly-breasted vs 30 cm for Rainbow, mostly due to tail length). 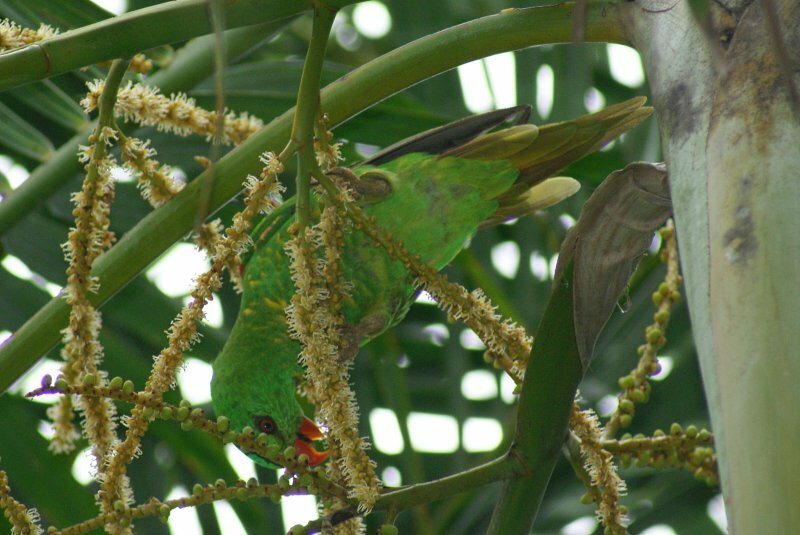 They feed in the same habitats, eucalyptus woodlands and parks and gardens with flowering trees and shrubs. They occur all down the eastern coast of Australia and a little way inland from Cape york to just south of Sydney. 1: Cairns Esplanade, Qld, 17/10/2010.